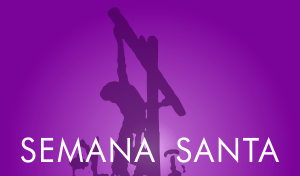 Semana Santa is the Spanish name for Holy Week or Easter and is celebrated in every village and city in Spain when residents celebrate the most important feast: The death and resurrection of Jesus Christ. Some of the most glamorous celebrations and largest processions are found in Seville and Malaga, both in the province of Andalucia, where parades can start at the crack of dawn and may continue until 4:00 in the morning. 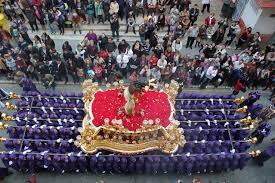 Holy Week, is a holiday in Spain filled with rich religious fanfare, culture, parades and music. This is an event you won't want to miss during your Spain holiday. Check out the Easter Procession Schedule for Holy Week. This is a holiday that lasts anywhere from one week to 10 days and dates back to the 16th century when it was decided that Easter processions would be the best way to depict scenes from the story of the fall and rise of Jesus. Parades traditionally start on Palm Sunday and end on Easter Sunday, with the most dramatic and solemn occurring on Holy Thursday and Good Friday. See our Easter Procession Schedule for exact locations and times for Marbella, San Pedro and Nueva Andalucia. Keep in mind that if it rains, parades will be canceled. What is a Semana Santa parade like? Easter processions are when the "tronos", which are floats or thrones depicting biblical scenes, are carried from their church, outdoors through the streets to a cathedral and back to church again. The impressive thing about these thrones is that they are centuries-old antique works of art (some dating back to the 17th century) and can weigh between 2,000 and 5,000 kilos. Several dozen members of the local brotherhood, called "costaleros", must carry this weight on their back to parade the throne through the often times narrow streets of the village. Now that is some serious suffering! Which is actually the point. The suffering is a reflection of what Christ experienced and the "costaleros" consider it a great honor to carry the throne, which takes several hours, some lasting 12 hours in total. At the start of the Easter processions local bands often play solemn music with drums and trumpets, but as Easter Sunday approaches, the mood changes and happier tunes are played, while the floats are covered with flowers and sweets such as "torrijas" (sweet fried bread soaked in wine) and "monas" (sweet bread) are eaten to mark the end of a long journey. What's with the KKK hats? During the processions you surely will run into a group people that look like members of the Klu Klux Klan. Do not be alarmed and do not confuse this with the KKK, who adopted the pointed hoods after witnessing the Spanish Easter processions and were impressed by their effect on the public. You should not compare the KKK with the "nazarenos" who wear this clothing. They have nothing to do with this organization. The pointed hoods and penitential robe are worn to conceal the face of the wearer who represent penitents too shamed by the crucifixion to show their faces. The "nazarenos" also may carry long candles to light the way of their journey. 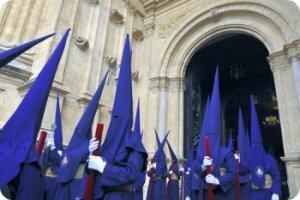 Every town in Spain often have their own rituals specific to their region, so just because you've seen Easter in one part of Spain, doesn't mean you've seen it all. Enjoy Semana Santa! 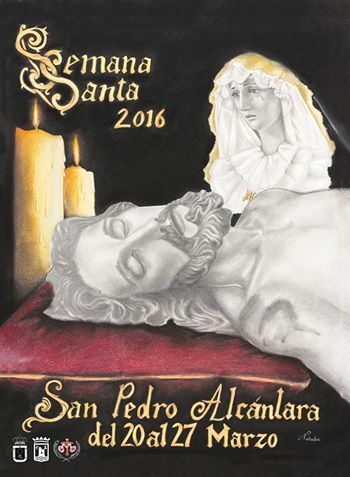 You can download the official Semana Santa programs (in Spanish) for Marbella and the San Pedro below. 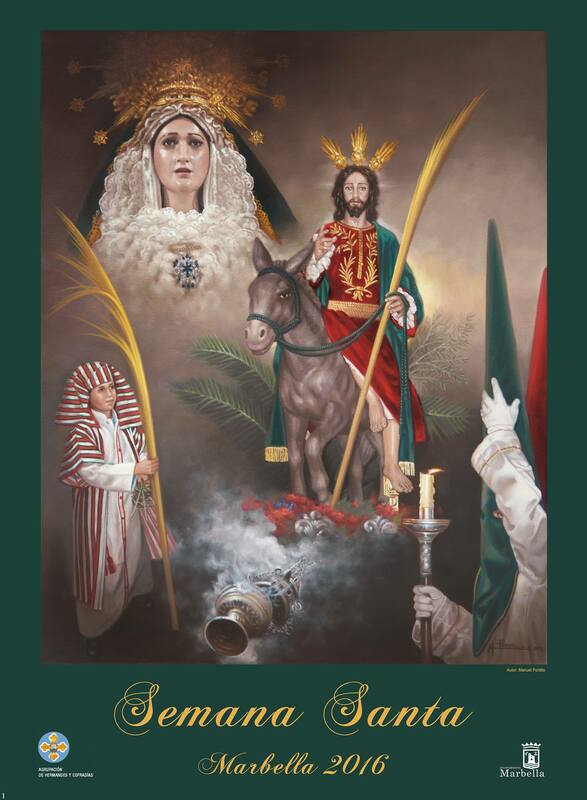 To get the programmes in English go to Easter Procession Schedule.